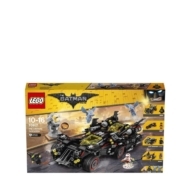 - Includes eight minifigures: Batman™, Robin™, Batgirl™, Polka-Dot Man™, Alfred Pennyworth™ (in Batsuit), Wicked Witch of the West and two Flying Monkeys. 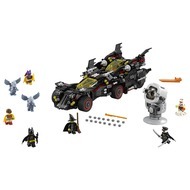 - This set features the 4-in-1 Ultimate Batmobile which divides into four separate vehicles: the Batmobile, Batwing, Bat-Tank and Batcycle. Also includes a buildable Bat-Signal. 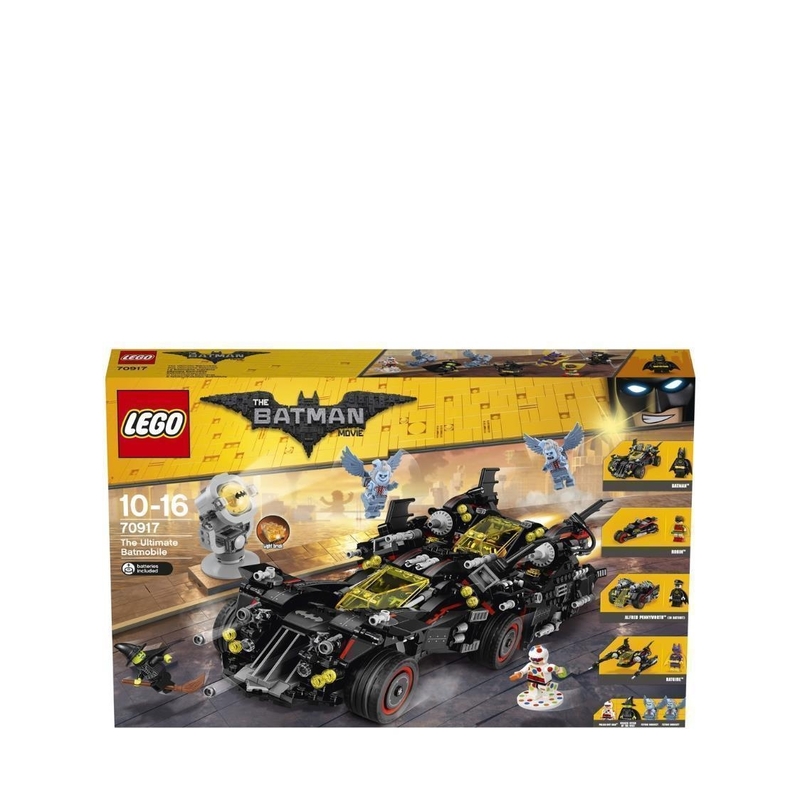 - Batmobile features an opening minifigure cockpit, four stud shooters, two foldout boosters, two hidden non-shooting cannons, and translucent light-style elements. - Batwing features an opening minifigure cockpit with dashboard details, two spring-loaded shooters, foldout wings, Bat-shaped tail wings, and translucent light-style elements. - Bat-Tank features an opening minifigure cockpit with dashboard details, big wheels, two hidden six-stud rapid shooters, opening armory compartment with control panel details, and translucent light-style elements. - Batcycle features foldable wheels for riding and parking inside The Ultimate Batmobile. - Also includes Polka-Dot Man’s new-for-June-2017 flying disc. - Activate the Bat-Signal’s LEGO® light brick to project the Bat symbol. - Weapons include Batman™ and Batgirl’s Batarangs, Polka-Dot Man’s two polka dots and Alfred Pennyworth’s two swords. - Accessory elements include Batman™, Robin™, Batgirl™, Alfred Pennyworth™ and Wicked Witch of the West's capes, Batman and Batgirl's molded utility belt, Polka-Dot Man's helmet, Alfred Pennyworth's hat, and Wicked Witch of the West's hat and broomstick. - The Ultimate Batmobile measures over 4” (12cm) high, 14” (37cm) long and 6” (16cm) wide. - Bat-Tank measures over 2” (7cm) high, 6” (16cm) long and 5” (14cm) wide. - Batwing measures over 3” (8cm) high, 7” (20cm) long and 7” (19cm) wide. - Batcycle measures over 1” (4cm) high, 4” (11cm) long and 1” (3cm) wide. - Batmobile measures over 3” (9cm) high, 9” (23cm) long and 4” (12cm) wide. - Polka-Dot Man's flying disc measures over 1” (3cm) in diameter. - Bat-Signal measures over 3” (10cm) high, 2” (6cm) wide and 2” (6cm) deep.